This range of our products includes automotive control cables and speedometers which are specially manufactured to meet the requirements of unique vehicles. We manufacture these products according to the designs, drawings and specifications provided by the customer. To meet variegated demands of our esteemed clients, we are engaged in manufacturing and supplying an exclusive range of Agriculture Vehicles Control Cable. Deusch Kyosei Engineering Pvt. Ltd.
WE ARE MANUFACTURING ALL VEHICLE CONTROL CABLES WITH A RANGE OF MORE THAN 800 PRODUCTS. We manufacture high quality Twin Core Cable made using superior quality copper. Our range of Twin Core Control Cable is used in various industrial applications such as electric vehicles and trailers and on boats and other marine batteries. On the following pages Hi-Tech Controls presents our program of Helukabel vehicle cables. Vehicle cables can be supplied in different colors and insulation combinations, depending on the application, e.g. 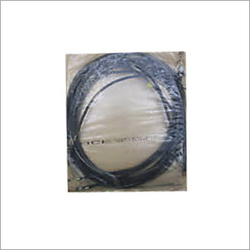 We offer a wide range of control cables for various commercial vehicles such as three and four wheelers including bajaj 3 wheeler fe / re 2s / re 4s / cng / diesel, vikram, piagio ape, mahindra champion, tata etc. 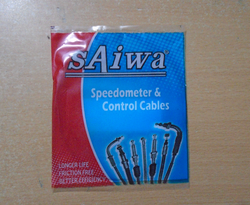 We manufacture a wide range of speedometers and control cables to cater to the needs of buses and heavy duty vehicles. These vehicle control cables are available at competitive prices and we also customize them according to the requirements of customer.